This is fortunately an old, now unused, pump! Remember when we could buy 97 octane petrol? If I recall correctly, we even had 98 octane - which is somewhat more awesome than the 95 and 93 varieties that we have access to today. 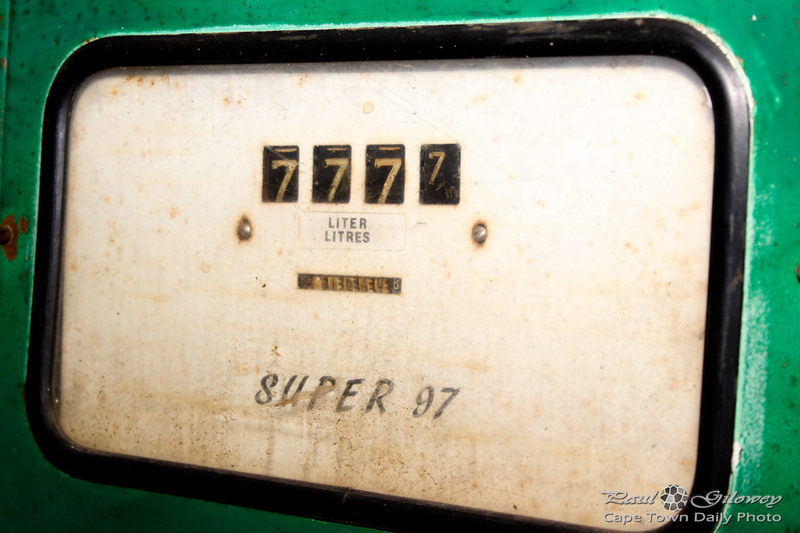 South Africans are all a little happier today because the price of petrol will drop by 55 cents tomorrow, 6 June. Take a look at this useful table for a view on the historical price of fuel in South Africa. Also, if you're interested, take a look at this document - it has a list of fuel prices per country. Pretty awesome, hey? Posted in General and tagged fuel on Tuesday, 5 June, 2012 by Paul. Glad to see it is an old pump, I just about fell off my chair when I saw the comment on twitter. :) Petrol prices are falling here too in NZ, pretty happy about that as I’m sure you are there in SA.